This information has been provided from the Wisconsin Department of Natural Resources Website. 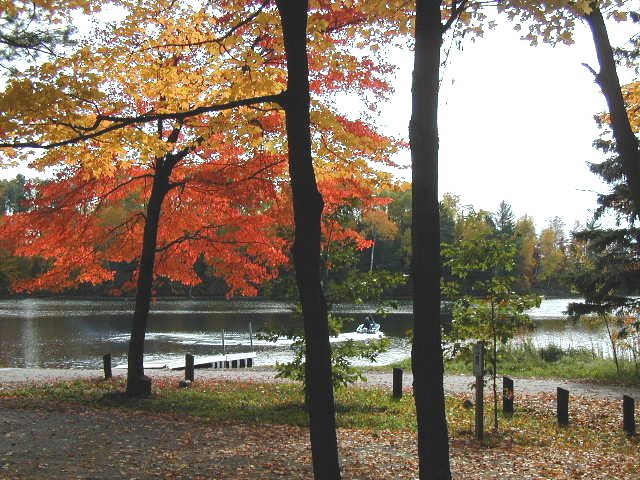 The Chippewa Flowage, a 15,300-acre impoundment, is located in central Sawyer County, 15 miles east of Hayward. First filled in 1924, the "Big Chip" was created as a means to augment downstream water flow for power generation and flood control. Dotted with approximately 200 undeveloped islands, it is Wisconsin's third-largest lake and boasts a highly irregular, wooded, and generally undeveloped 233-mile shoreline. Although Xcel Energy still owns and maintains the dam which creates the Chippewa Flowage, the Lac Courte Oreilles (LCO) Band of Lake Superior Chippewa operates an electrical power generation facility at the dam on the Chippewa River near Winter, Wisconsin. 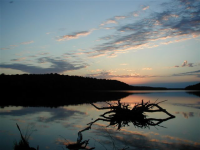 For decades, the Flowage has been highly regarded throughout the Midwest for its spectacular natural scenery and high-quality recreation, especially fishing. 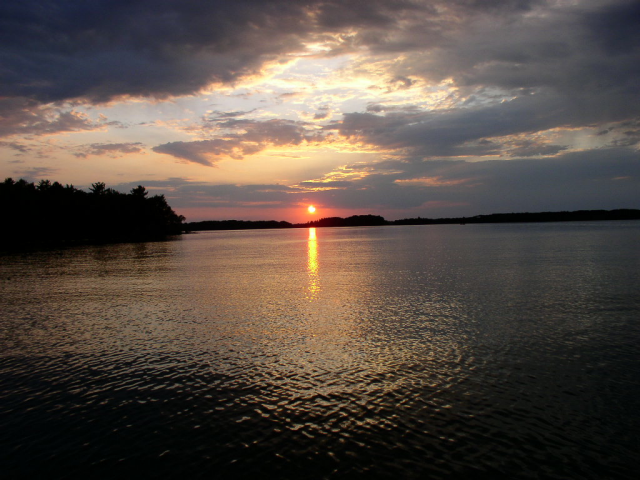 Historically, the Chippewa Flowage has been considered a premier muskellunge lake and earned the reputation as the waters that produced the world record musky. It also provides some of the finest walleye fishing in Wisconsin. The Flowage offers a fishing experience generally found only on lakes farther north in Minnesota or Canada. Its seemingly endless maze of islands, points, bays, floating bogs and channels offers visitors numerous opportunities for exploration, discovery and a feeling of wildness within the northern forest landscape. Camping at one of the primitive island campsites is an opportunity not common in Wisconsin. 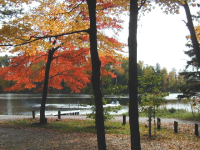 Visitors rate the natural scenery, undeveloped "wild" character, "uncrowded" atmosphere and the fine fishing as the Flowage's outstanding attributes. The local topography is a mosaic of rolling hills, valleys, streams, and bogs that reflect the glacial origin of the landscape. The Flowage's shorelands are generally forested with a mixture of aspen, birch, pine, northern hardwoods, and oak. Mature aspen forests predominate but in many places longer-lived hardwoods and conifers are gradually replacing them. Almost all birds and animals that are indigenous to northern Wisconsin are found within the area and include bald eagle, osprey, and loon. Wildlife viewing opportunities enhance the attractiveness of the Flowage to visitors.